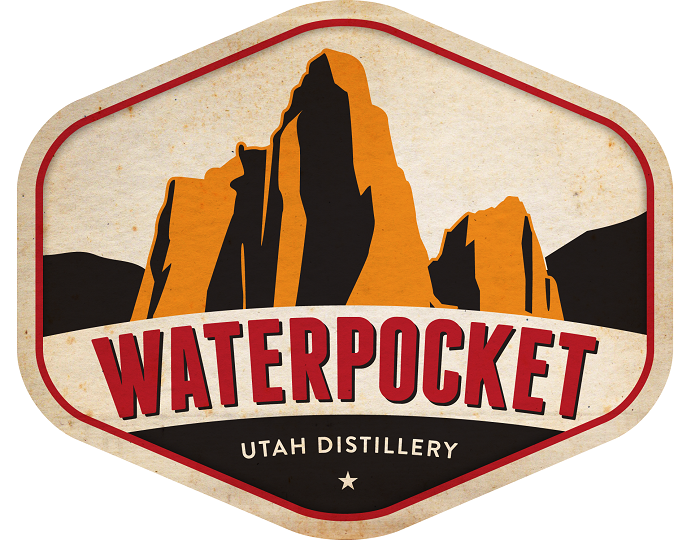 We're going to be getting something really cool in the state when Waterpocket Distillery opens soon. 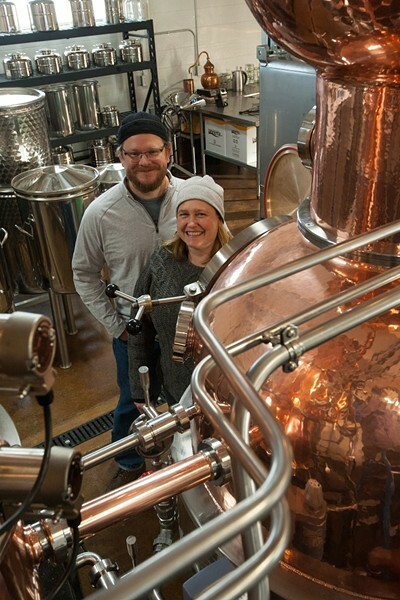 The married couple behind the new business is going a little more old-school with their techniques, creating gin, rum and a few other surprises that will taste like nothing else being produced in Utah. 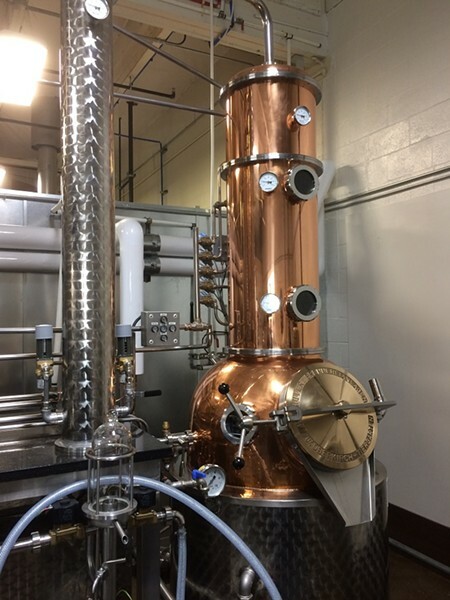 Today, we chat with Alan and Julia Scott about founding the distillery and the creations they have in the works as they work their way to opening this summer (with photos I took during my tour of the facility). 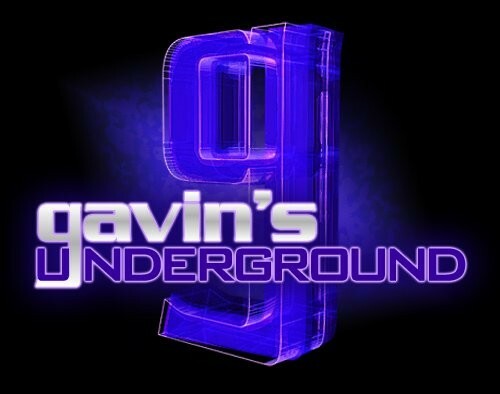 Gavin: First thing, tell us a little bit about yourselves. Alan: We’ve been married for 20 years, and have lived in Utah since 2000. We met in college at the University of Kansas. After three years of traveling for work overseas, we settled in Utah so Julia could pursue a Ph.D. at the University of Utah and I could return to a career in television broadcasting. We lived in the Avenues for a few years before moving to Holladay, where we live now. No kids, pampered pets instead. Julia: We didn’t intend to stay in Utah originally. We had visited here for vacations twice in college and they were both great adventures. We both grew up in the Midwest—in Oklahoma and Kansas. The scenery, climate and parklands here were a great novelty. After graduating, we just didn’t find that other place we liked better that Utah. Prior to the distillery, what had each of you been doing career-wise? Alan: I worked as a network engineer and project manager for Cache Valley Electric for several years. Before that, I worked in broadcast television for many years—mostly as a technical director or a director, but later in broadcast engineering and IT. Julia: Chemical engineering in oil refineries, either as an onsite engineer or as a consultant for a refining technology company. After finishing my Ph.D., I worked for a biotech startup developing applications for a synthetic intracellular matrix. Then a Utah refinery hired me to lead their engineering department. Now I work for a Silicon Valley company as a solutions architect for cutting-edge IT applications in the oil and gas sector. Alan is full-time at the distillery already—I’ll make the jump when we’re ready. How did you get into homebrewing years ago and what were your early creation like? Alan: I got into homebrewing after seeing a brewing demonstration at a craft fair back in college. They had a carboy with a very active fermentation at this booth. It was pure magic. My own first beers were largely hit or miss affairs based on canned malt, hop pellets and dried yeast. I remember one I called “oil-can stout” after adding too much mislabeled maltodextrin. What’s great about homebrewing is how much quality improvement you can get from incremental improvements to your process—and I had to learn all the lessons of fermentation temperature, proper sanitization and so on. A few batches went straight down the drain or sat unloved in bottles until I poured them out to make room for a better batch. What helps me most now is getting that understanding of yeast—how it works, what it likes or hates and how the variables produce different results. I’d say a lot of what I’ve been doing lately is getting to know my new distilling yeasts. The still is just a magnifying glass for that work. What drew you more toward liquor rather than beer for your brews? Julia: My career in chemical engineering is largely a career in distillation. At the refinery, we made distilled products from crude oil. Gasoline is a distilled product. Alan tried to nudge me towards applying my engineering skills to brewing for many years, but that was really his thing. After craft distilling started to take off, Alan convinced me to take a “how to start a distillery” class at Koval distillery in Chicago. I left at the end of the first day and said to myself, "We can do this." It was also our international travel. Just as craft brewing brought porters, pale ales, Saisons and other European styles to life in the U.S., we saw a lot of fun and opportunity in giving the traditional liqueurs and spirits of Europe a go here—so many good spirits are virtually unknown here. What initially made you want to start your own distillery? What was the planning like? Alan: I think it was a blend of the technical and the artistic that a distillery kind of embodies. Also, there’s a finite quality to it—you prepare, you distil, you bottle and people drink the result. 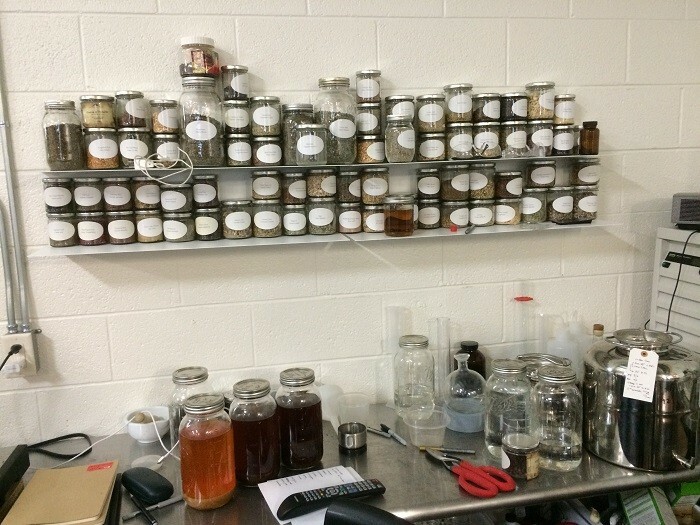 So distilling had the right blend of technical and tangible grounded elements which appealed to both of us. Julia: Once we had the epiphany about the distillery, there was a lot of hard work in turning it into reality. I had just finished my MBA, and had access to a lot of people who were good at startups, business plans, financing and so on. Getting a realistic business plan assembled is very important. Planning involved a huge amount of work that really has nothing to do with distilling, and more with zoning, licensing, filling out forms and paperwork. Then there are decisions on what equipment, what size, what power is needed and a thousand other things. What made you decide to take the leap last year? Where did the name come from? Alan: Eventually you need to do it or not. If you have accumulated some capital, it’s very tempting to say, "Hey, I could just buy this thing on vacation" and that will help me survive another year in a job that maybe I don’t like so much, but it pays all the bills and I’m not starving in a famine and so on. It’s one of those moments where you have to ask yourself "Is it really that important to me to do this?" In the end, it was. Julia: The name comes from the Waterpocket Fold—the geological feature which gives us Capitol Reef National Park. It’s our favorite part of Utah, and what we consider to be the quintessential Utah landscape. We considered a lot of names and that was the one that ended up resonating with us the most. How did you come across the location in West Valley, and how was it turning the place into what you needed? Julia: We looked in south central Utah and we looked in Morgan County. Ultimately, the location had the right size, the right utilities for our equipment, the right zoning with distilleries already approved nearby. It’s not where we thought we’d do it—but it ended up being where we could do it. And that Goldilocks moment put us in West Valley City. The West Valley City government and services folks have been very professional and very easy to work with. 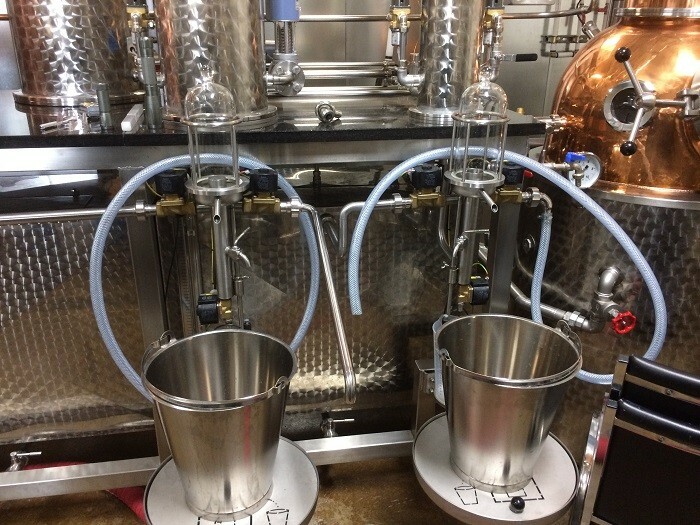 What kind of equipment did you end up getting to help make the liquor you wanted? Alan: Two Mueller pot stills and a startup set of fermentation tanks will get us started. A steam boiler provides the energy for the processes. 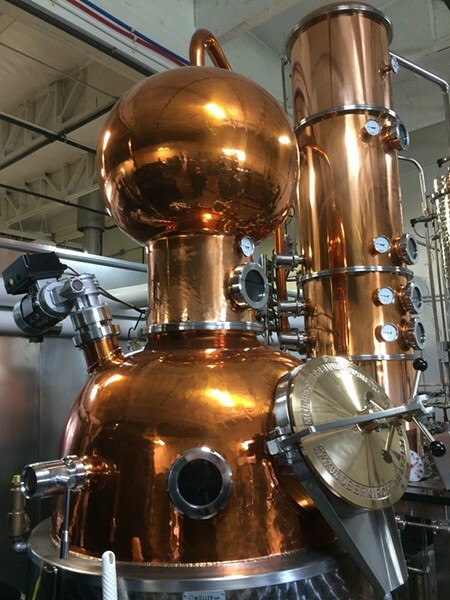 The stills are beautifully designed for efficiently producing high-quality spirits. We wanted to distil, not just bottle or blend. Our intention is for the distillery to be a place of creative work in distilling—not just the repackaging or rebranding of another’s creativity. If the spirit is outsourced, it will be released under our Robbers Roost label. And because it is outsourced under that label, we hope to set a high bar for both quality and value if we decide to present it there. What was it like working with the state to establish your business? Julia: It’s been pretty good. This is a highly regulated business and we knew that going in. Our interactions with the state have gone well. There is a paradigm in place, and you have to be prepared to deal with that in Utah. In other states, you might have a private component in place, where the focus is on business success for everyone. Here the focus I think is on preventing harm—and all other considerations are secondary. You just have to deal with that. We knew this going in. Alan: Utah is not the worst state to open a business like this. It’s not Colorado, where over a hundred distilleries have opened and the laws are much more friendly to distillers than here. We’re #13 in Utah. But I look at how much it has evolved over the time we’ve lived here, and I can only hope this trend continues. Did you know exactly what you wanted to make going in, or was it more of a discovery period where you wanted to try something new? Alan: It’s an ongoing process of discovery. When I started digging into the European distilling traditions, I found my whole approach to the distillery changed. Then I started to tie those traditions with the interesting spirits we encountered overseas—like amaros, aguardentes, eau-de-vies, krauter liqueurs and so on. 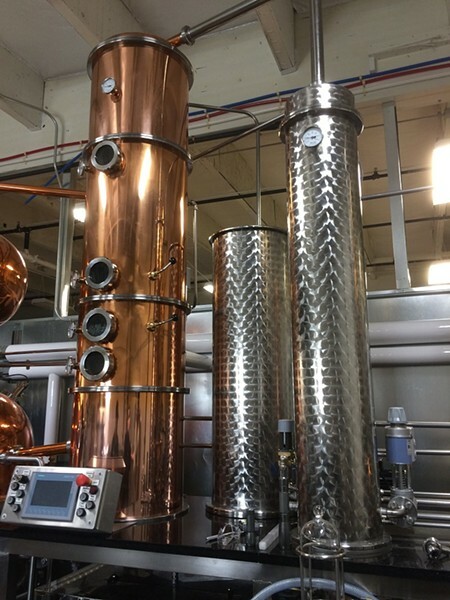 So we ended up with a large still to make more traditional spirits … and a small still for small batches of the more exotic stuff. Julia: Same here. I originally thought vodka, since the distillation process was most similar to the column and tray distillation I was most familiar with. Vodka is nowhere in the plan now. I read online that you're making both gin and rum. Tell us about those two liquors. Alan: I’ve started with rum. Rum is made from sugarcane in its various forms from refined sugar, demerara or turbinado sugar, refined or crude molasses. I’m working with turbinado and blackstrap molasses. The result is a full-bodied rum with lots of residual sweetness and flavor. I’m working on the formula for the gin now. I’ll work on it all summer and I should have it ready for fall. It will be called Temple of the Moon, after the formation in Capitol Reef. Julia: We also decided to look “beyond” gin, and one of our first products is made in almost exactly the same way as gin, but contains no juniper. This is a fascinating area we’re exploring. Complex botanical liqueurs beyond the gin requirement that juniper be the predominant ingredient. Our first botanical release under our Long Lost line is more focused on star anise, sage and galangal root. This does not diminish our commitment to creating a good gin—but I think we can make the point that there’s a big world beyond juniper in the botanical spirit realm. You're also creating small-batch liqueurs. What flavors did you decide on and how small of a batch are you looking to roll out with? Alan: The primary reason for our second and smaller still was to open up this workflow. 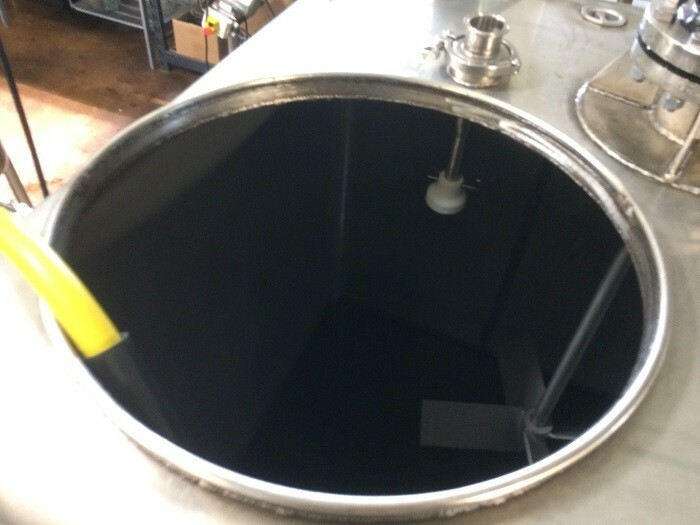 It’s a 230 liter still and allows me to produce more batches of smaller products—even some which may never be carried by the DABC. We’ve decided experimentation is part of who we are. Look for small batches of unique products. The botanical liqueurs of the 19th century are a great source of inspiration. I’m following the old sources and will be trying several things I think will work in a modern context. Julia: We also want to make products from Utah’s fruit industry. There’s so much high-quality fruit grown here. Fruit eau-de-vie will probably never be a huge product for us. But we cannot imagine having a distillery in Utah and not exploring this area. Some of the best distillates on earth are made from fruit. In Germany alone, there are thousands of distilleries. Most of them are tied to orchards and the fruit harvest. What other liquors and specialties are you looking to create? Alan: We’ll have a line called Toadstool, which will be amaros, potable bitters and similar spirits in that end of the taste spectrum. Absinthe will happen under this label eventually. Our Long Lost line will focus on forgotten liqueurs. We’re launching with a classic recipe from the Danzig liqueurs tradition. It’s a totally different approach to a botanical liqueur. I’m on a parallel path with amaros and Danzig liqueurs right now…we’ll see where these interests lead me. Julia: And I’m working on a cream liqueur a la Baileys, which will be called Snow Angel. We’re also opening with an outsourced line of spirits, Robbers Roost. We’ll release a nine-year-old light whiskey under this label for our launch. You're currently preparing for your grand opening in June. What are you looking to do to mark the occasion? 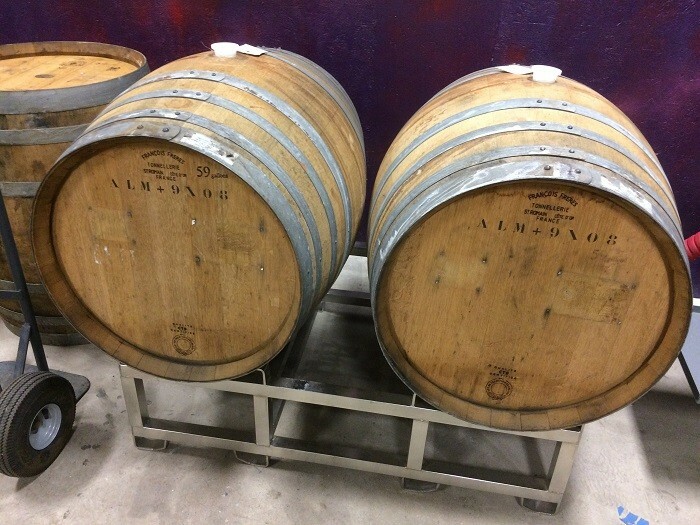 Alan: I’ve been focused on the fermentations, preparations and the still almost exclusively for a few months—I think it’s time to start planning that! Will you have tours or a tasting room moving forward or just working on the distillery itself for now? Alan: We’re filling out the tasting application now and we’ll have tours, but probably only on certain days. Julia: Safety will always come first at the distillery, and tours and public access will have to be coordinated with our production schedule, but tours we will do. We invite all interested persons to visit and learn about our process and our stills. We are a production distillery, not just a rectifier or blender. We invested in our stills, tanks and boiler to allow us to make a line of unique products where the key creative work is done at the distillery. What can we expect from both of you and Waterpocket Distillery over the rest of 2017? Alan: We’ve adopted the slogan "Open Wild," so expect interesting and challenging releases! Julia: We’re looking forward to finding opportunities to develop products with Utah growers of herbs, botanicals, grain and fruit. We’d love to find a brewery to work with for a couple of unique products. And we hope our spirits find a place and favor among Utah’s mixologists and chefs. As a local distillery, we can react more quickly to local feedback, local requests and local opportunities. This year we will begin learning how well we can follow local harvests. We’re excited to open and get started.